There has been some questions and confusions about the word sat, the literal meaning. Spiritually, the word can gain many infered meanings like unchangeable, supreme divine etc. Searching the web, there seems to be a lack of the exact understanding of the word and phrase. Some web links are: Wiki, ethics.wiki, Melindanicity, Ryan, SOYA etc. What does sate hitam satyam (सते हितं सत्यम्) mean? sat = सत् is pronounced as 'su' as in 'sum' and a half consonant of soft 't' (French or Italian pasta). The root verb is 'as' - to be. asti अस्ति = it/he/she is. As in saḥ asti (saH asti / सः अस्ति) = He is. sā asti (sA asti / सा अस्ति) = She is. Now to signify an act that is going on (present participle), e.g. a student that is reading, a girl that is laughing etc. 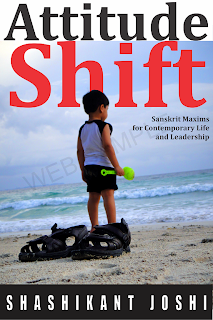 for parasmaipadī (parasmaipadI / ) verbs (like transitive verbs) a suffix shatṛi (shatRi / ) is used. For an example of a shloka with this usage, click here. So, 'as' (अस्) verb means 'to be'. 'asti' (अस्ति) means 'is'. 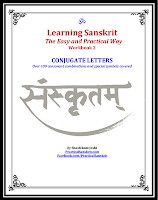 Applying the suffix, we get 'sat' (सत् - neutral), 'san' (सन् - masculine), 'satī' (satI , सती - feminine) as the adjectives of continuous form = while being. So, 'sat' indeed means 'that which is being', 'is in the act/state of being', the act of being has not completed yet, it is still going on. What is truth? That which is. So 'sat' means 'truth' as well as 'being'. sat (सत्) is present continuous. satya (सत्य) is formed by using the 'yat' (यत्) suffix (which adds the 'ya' at end) and is used to denote 'that which is worth doing, or that which should be'. The suffix comes in three flavors - -tavya (-तव्य), -nīya (nIya, नीय) and –ya (य). For example, gantavyam (गन्तव्यम्)= that which should be gone to = destination. So satya is that which is worthy of being, that which should be. sat = that which is. satya = that which should be. Thankyou for this explanation. Namaste.